16 inch strand. The antique style round beads are finely carved by hand and are made of Henan jade in China. 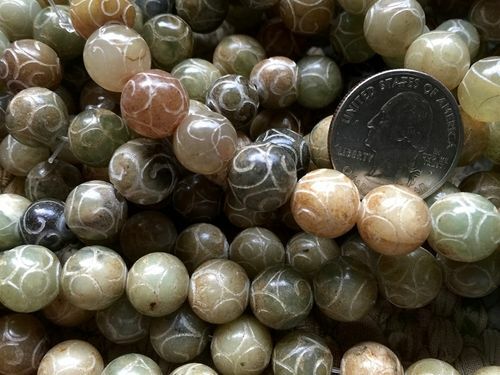 The beads are approximately 12mm in diameter with a nearly 3mm hole. Very good quality. There are about 35 beads per strand. Colors are wonderful, warm earthtones in browns, greens and some golden hues. 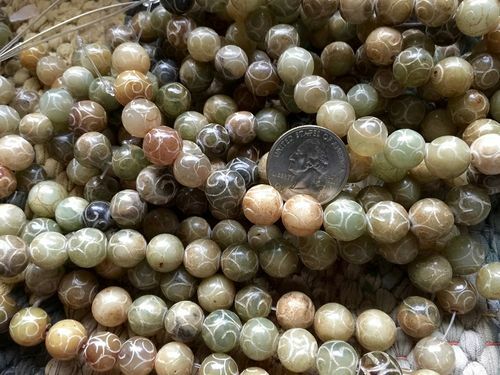 While most of the beads on the strand are 12mm, there may be some variation in size.